SOUTHWEST INVASION ARTIST LINE UP ANNOUNCED! The amazing music line-up for the Quantum Collective's Southwest Invasion powered by WorldArts has just been announced! 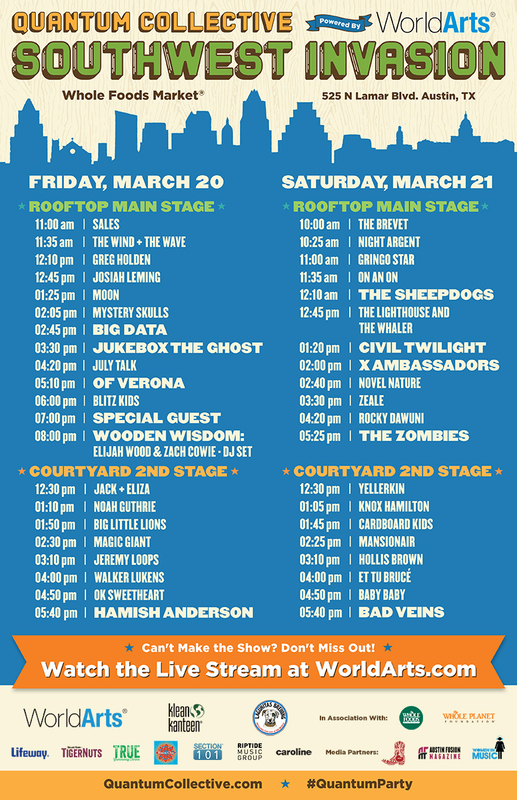 Two days, 41 bands, 32 hours of music! If you haven't RSVP'ed for the event, which takes place on the Whole Foods Rooftop in Austin on March 20 and 21, make sure you do so here!